The AARC is assisting Professor Amanda Dawn Christie of Concordia University with reception and live streaming of her art/science transmissions from HAARP. Day one, Monday, March 25 wrapped up with great success. There will be transmission again on Tuesday, Wednesday, and Thursday (March 26, 27, and 28). 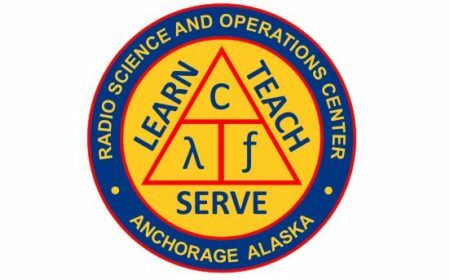 The high-power transmissions were heard very well in Anchorage, as expected, as well as in distant places around the globe. Transmissions are in AM voice and USB Slow Scan TV, with a bit of Morse code as well embedded in the AM transmissions. Stop on down at the RSOC to see the action live on Tuesday, Wednesday, and Thursday. Visit professor Christie’s Twitter site for specific transmission times and frequencies at https://twitter.com/magnet_mountain.